Access course content with ease even when offline. Receive notifications of messages, announcements and other events instantly. Upload various types of files including images, audio and videos to Moodle. Track your progress by marking activities as complete and checking grades. Participate in activities including quizzes, discussion forums etc. 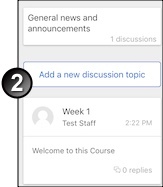 The app also allows instructors to grade assessments and communicate to students both on and off-line. The following video shows the capabilities of the app in a snapshot. Depending on your device, you can download the app either from the Apple store or Google play store. This can be accessed via the following links. Once the app is downloaded and installed, click to open it. 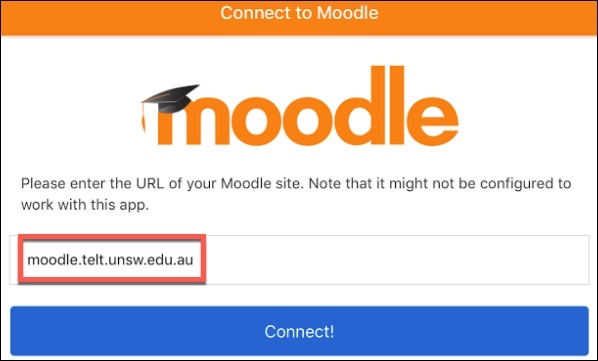 The app will prompt you to enter the URL of UNSW's Moodle site: moodle.telt.unsw.edu.au. Click Connect once the URL is entered. Enter your UNSW zID and zPass in the succeeding window. The app will connect to your UNSW Moodle account and all courses you have access to will be displayed. Timeline lists the assessments that you need to grade. 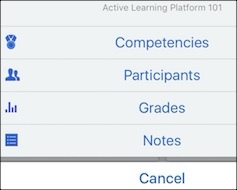 Assessment links are only visible here if a Remind me to grade by date is configured during the initial setup. The contents of this tab can be sorted either by courses or dates. Courses tab displays the list of courses for which you have access. You can change the display of the courses tab from a grid format to a list format and vice versa. The Filter allows you to search for courses you wish to access. However, you will not be able to view the contents of the course unless you have proper credentials to do so. The side menu has several functions. This is discussed in more detail in another section. In Progress dropdown can be used to view past courses for which you had access, the current semesters courses and future courses if any. 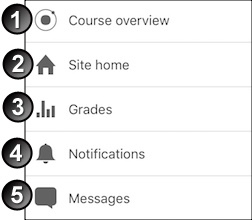 The menu located on the home screen of the app can be used to access several features of Moodle. Course overview – Displays all the courses you have access to. The dashboard is split in two tabs; Courses and Timeline. The timeline displays the list of assessments which you need to grade. 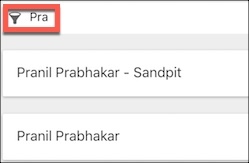 The filter feature allows you to search for specific courses from your account. You can also configure the list of courses to a grid or a list format. Site home – Search for any course offered by UNSW. However, you can only view the contents of courses if you have appropriate access. This is particularly useful when you are required to gain access to self-enrolment courses. Grades – view the gradebook of courses for which you have access. Notifications – The app supports both local events configured in the calendar and push notifications such as alerts for assignment submissions and forum posts. The type of alerts you receive depends on your preference for notifications. Messages – view messages that have been sent to you, reply to messages, send new messages and view saved contacts. Calendar events – View all configured events from your courses here. If activities are setup with due dates, these activities can be viewed from the calendar by everyone who has access to the course. My files – You can upload files to a maximum of 50mb in the private files area. Note that this is connected to the storage of your device and will depend on its capacity as well. Website – This is a link to the UNSW Moodle site and will open from the web browser of your mobile device such as Safari or Chrome. Help – links to the Moodle mobile resources from moodle.org. 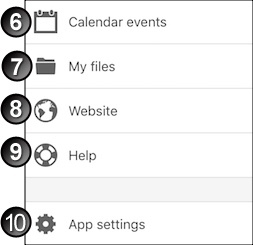 App settings – You can configure the general settings of the app. Amongst other things, you can also configure the messaging and notification preferences here. Each course has a quick access to participants, grades and notes. These elements can also be accessed directly from the course. The activities of the course can be downloaded for offline engagement. This can only be done if the activity has a cloud download icon beside the title. Clicking on the icon will not download anything but the activity is stored for offline viewing and interaction. Once the device connects to the internet, the data from the offline activities will sync with the user's Moodle account. Students can use the app to participate in quizzes and online surveys. Participants can use the chat tool to communicate with each other. View learning plans and check the progress of students. Allows you to pull screen to refresh web pages. You can display the Moodle site in both portrait and landscape view. Activities which have the following symbols / next to them are not supported on the Moodle mobile app and clicking on these activities will navigate the user to the web browser of the mobile device. If you want to access an activity not supported by the app, click on the icons above to access these activities via a web browser or select the activity and click 'Access the URL' / 'Open in browser'. Ruwix is the best place to learn about the Worlds best-selling puzzle toys. Check it out here. 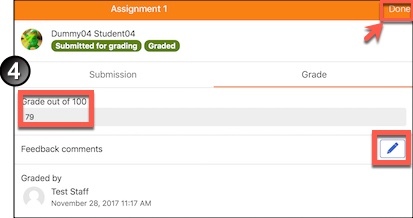 The App can be used to grade assignments that are submitted to the Moodle Assignment's dropbox. Navigate to the relevant section of the Moodle course. Click on the Moodle Assignment Dropbox. The window displays the due date and time of assignments, the total number of participants in the course, number of students who have submitted assignments and the number of assignments that need grading. Click Needs grading. Select the student whose assignment needs to be graded. The details of the student's submission will be displayed. Click the Grade tab. Enter a relevant mark and click Done. Note that you cannot enter the grade and feedback simultaneously because the feedback interface opens in a new window. Once the grade is saved by clicking Done, click the pencil icon to give feedback to the student's submission. Click Done once completed. Select the next student for grading. 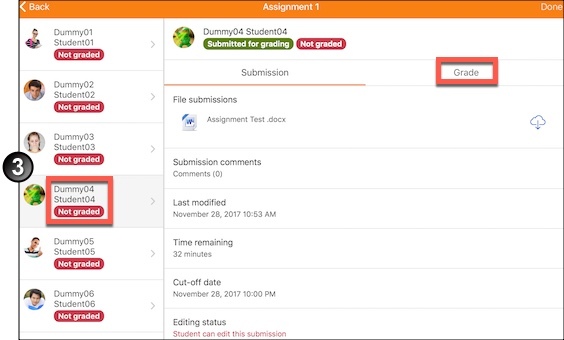 Note: You can also download the Moodle assignment submission box and grade students offline. To do this Click the cloud download button next to the assignment link. There will not be any download activity, however, all assignments will be stored for offline viewing. You will be able to access the student's submissions and mark it offline once this is done. All feedback and grades will sync with the respective student's Moodle accounts once your mobile device connects to an internet source. Navigate to the course and click the Announcements forum. You can also click the cloud download button to create and post announcements when offline. Note that if you work offline, the announcements are stored offline and is not viewable by students immediately. Announcements will only be posted once your device has access to the internet. A summary of past announcements is displayed on the left column of the screen. You can also add new announcements using the Add a new discussion topic button. Type the content of your announcement. Depending on your preferences, you can configure the subscription to the forum. Leaving the feature switched on means you will continuously be notified when there are changes to the forum. The Pinned function allows you to keep a particular announcement at the top of the list of announcements due to its importance or significance. 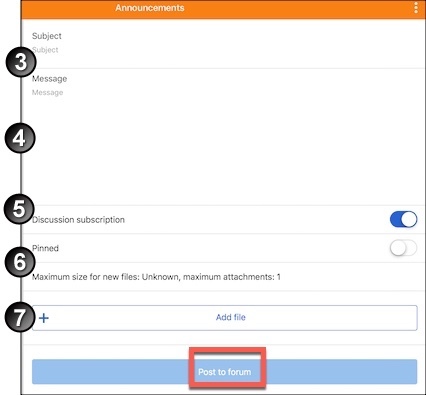 Click on Add file to supplement your announcements with attachments. Note that the maximum file size per attachment is 500 kb and a total of 9 files can be attached to each discussion. Click Post to Forum. How can I get the Moodle mobile app? The app can be downloaded from the Google Playstore or the Apple Store. You can search for Moodle Mobile in the respective store or access the links that have been provided at the beginning of this page. Why does the app use so many permissions? Record audio - for uploading to the Moodle site if needed. Read and modify the contents of your SD card - for content to be downloaded to your SD Card for offline access. Network access - to be able to connect to your Moodle site and check if you are connected, or to switch to offline mode. Run at start-up - to receive local notifications even when the app is running in the background. Prevent phone from sleeping - to receive push notifications anytime. What should I do if I cannot see my courses in the app? Note that the app connects to your actual Moodle account and replicates the information. If you cannot access a course from the mobile app, it is highly likely that you do not have access to the course. Can I use the app to mark assignments? Yes, amongst many other things, the app allows you to mark assignments both online and offline. The data from offline marking syncs with Moodle once the device connects to the internet. Why does the app stop? For the app to function normally, you will need a stable internet connection. Network fluctuations may cause the app to timeout. How can I get help with the app? The Teaching Gateway resource pages. Resource pages located at moodle.org. Call the It service centre on 51333 or (02) 9385 1333 or via email to itservicecentre@unsw.edu.au. How long will it take for offline data to synchronise? Data for all offline activities is stored within the app. Once the device connects to an internet source, it should take a maximum of fifteen minutes for the offline data to synchronise with your Moodle account.